Before the show, you can enjoy our spacious lobby, where you can purchase some coffee or tea before the show. 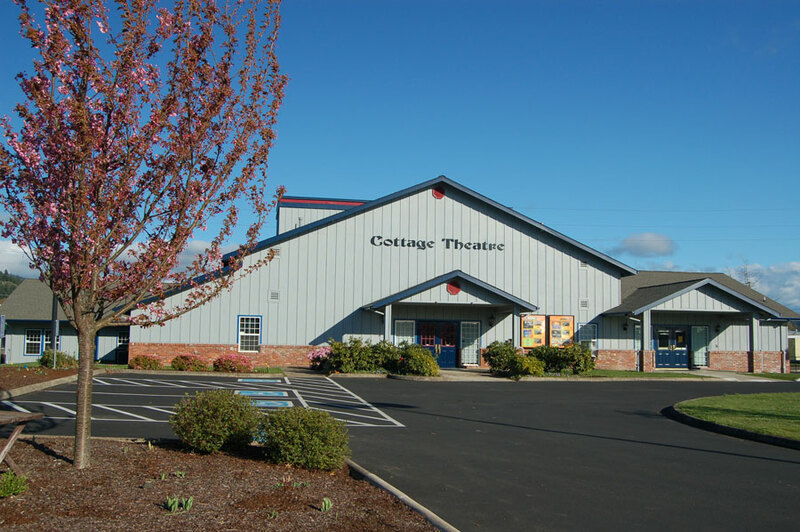 The lobby and Box Office are open beginning one hour prior to show time. During intermission, our ushers will be glad to sell you a cookie, ice cream sandwich and other concessions treats. Once the doors to the auditorium ("house" in theatre-speak) open, you can find your seat in our intimate 150-seat space. 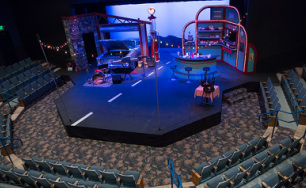 Our stage is what's known as a "modified thrust" which means that the audience wraps around three sides of the stage. Wherever you sit, you're close to the action!